Rock'n'roll fans from around the world will turn the town of Guildford in pastoral Surrey into an international haven of classic rock music when they celebrate the first international convention dedicated to Procol Harum, the legendary band that produced the mega-hit A Whiter Shade of Pale, Saturday, September 16, at 7 pm at the Guildford Civic Hall. Dozens of enthusiasts from as far away as Australia, Peru, Crete and the United States, as well as from all around the UK and Europe, will take part in an evening of activities, which will include competitions, exhibitions, lectures, the sale of rock memorabilia and two performances by a band of music-lovers trying their hand at their favorite Procol Harum tunes. Food and drink will be served and there may be surprise visits by band-members, including its composer/vocalist/pianist Gary Brooker, organist Matthew Fisher, guitarist Mick Grabham, drummer Mark Brzezicki and bassist Matt Pegg. The evening's activities are a prelude to the day-long Guildford Multimedia Arts Festival on Sunday, September 17, which will feature a variety of musical entertainment and other activities. 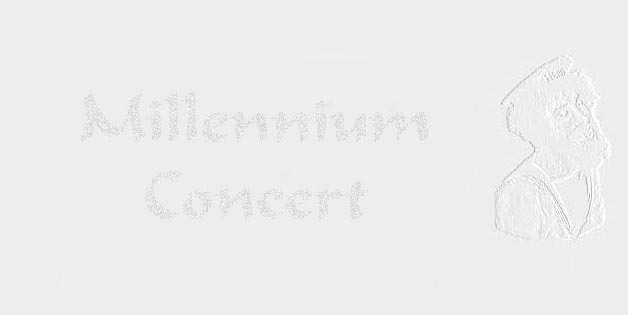 The day’s main event will be a concert by Procol Harum, their first in three years, accompanied by the New London Sinfonia and the Guildford Choral Society. The show will conclude with a spectacular fireworks grand finale. Procol Harum is best remembered for their world-wide hit A Whiter Shade of Pale, the Bach-inspired song that "skipped the light fandango" and pioneered the fusion of rock and classical music that would later be the trademark of such groups as Pink Floyd, Queen and Emerson Lake and Palmer. At last count, more than 11 million copies of the song have been sold and, although first released in 1967, it has stood the test of time because it has been covered by a long list of varied artists, ranging from Willie Nelson to Annie Lennox to the London Symphony Orchestra. It also has been featured in several hit movies, including The Commitments, The Big Chill and Martin Scorsese’s New York Stories. Throughout the 1960s and 1970s and in the 1990s, the group produced a dozen classic albums with memorable songs, such as A Salty Dog and Shine on Brightly, and solid hits, including Pandora's Box and Conquistador. The latter, a historical extravaganza, was featured on the Live with the Edmonton Symphony Orchestra LP, which went gold with millions sold world-wide. Brooker, a Surrey resident and activist in local charities, is much in demand and has worked with other famous artists including Eric Clapton, Ringo Starr, Roger Daltrey, Bill Wyman and George Harrison. Tickets for the convention can be pre-booked by e-mailing webmaster@procolharum.com , or purchased for 12 pounds at the door subject to availability. The Guildford Civic Hall is located on London Road, Guildford. The convention is sponsored by "Beyond the Pale," an international organisation of Procol Harum enthusiasts. Launched following the 30th anniversary of A Whiter Shade of Pale, "Beyond the Pale" is run by fans, for fans: to help them get in touch with each other, and to share facts and opinions about the music and its players. The group’s website www.procolharum.com is updated daily and includes almost two thousand pages of information and illustrations all contributed by fans ("Palers’) from around the globe, and by the musicians themselves.